Men’s longs with fly with Polycolon® ST mesh inside a Merino wool outer layer. 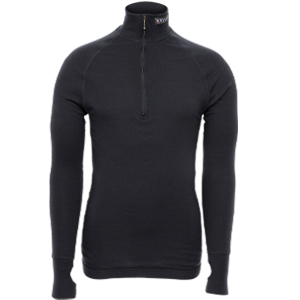 The combined layers provide the warmest, driest base garment in an award-winning single garment design. This is the perfect choice for hunting, snow machine riding and expedition work. Sizes: S – XXL. Color: navy. The Arctic Double Collection is the epitome of performance under garments. 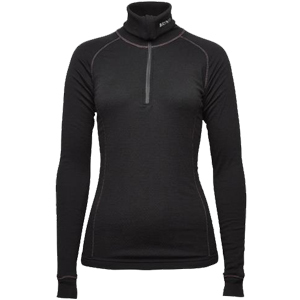 Internationally recognized as the best performing base layer with numerous awards and accolades. 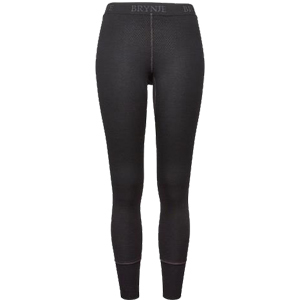 The concept is simple, combine Brynje’s performance ST Polycolon® synthetic mesh underneath the highest quality Merino wool fabric. The mesh provides 4 to 6 times the insulating power of solid knit fabrics while allowing perspiration to “transport” in vapor form to the outer layer. The Merino wool outer layer traps the air inside the mesh cells to provide warmth while absorbing and wicking moisture away from the body. No other single undergarment provides this functionality. The Arctic Collection garments are used extensively by Police, Fire Service, Special Forces and polar expeditions. They are the best choice for extended exposure to cold temperatures and high exertion. Wool is a natural fiber which does not to be laundered regularly. A global wardrobe survey in 2015 by AC Nielsen confirmed that wool garments have a longer life than cotton – as much as 50% longer. Merino wool can be worn multiple time between washings which will prolong the garment life and protect the environment. Hand wash or machine wash on gentle cycle with cool water (not to exceed 85°F). Line dry. Do not tumble dry.